When you’re getting ready to upgrade your vehicle, you may have a lot of questions about the financial aspects of car buying. You’ve already picked out your perfect vehicle and researched why it’s the right one for you, but now you’re left with the tedious task of trying to figure out how exactly to pay for it. At Jackson Dodge, we understand how confusing the financing process can be, which is why we’ve taken the time to answer some frequently asked questions regarding the financing process. Learn more below before choosing the next vehicle you want to drive through Alberta. Financing a vehicle is the process of getting funding to pay for your new vehicle. If you don’t plan to pay for your vehicle entirely in cash at the time of purchase, then it is likely that you will have to go through a vehicle financing process in order to secure your vehicle. When you finance a vehicle, you get take out a loan an pay it off over a certain amount of time with special terms surrounding interest and monthly payments depending on your situation. 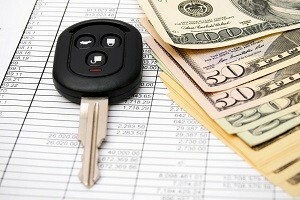 How do I get financing for a vehicle? The good thing about financing a vehicle with Jackson Dodge is that we do all the leg work for you. After obtaining the necessary information, we’ll find out if you qualify for financing. If you meet the eligibility for financing requirements, then you are able to move forward with the next step of the process, which is finding a bank to loan you the money. We complete this step for you as well by using the information that we’ve curated to provide you with a list of potential financing plans. Vehicle leasing is another way of obtaining a vehicle; however, it is a bit different than the traditional vehicle buying process. Instead of making loan payments in order to buy your vehicle, the payments you are making go towards renting it. The vehicle is still owned by the leasing company, but you agree to pay a certain monthly fee for a set period of time, at the end of which you can trade in the vehicle or extend your lease. This option is best for those who don’t like being tied down to one vehicle for too long. Do I have to make a down payment when leasing a vehicle? Short answer – no. Unlike purchasing a vehicle, leasing a vehicle is temporary, so you’re not working to pay off a large loan. Many people make down payments when financing a vehicle so that their monthly payments can be lower and their repayment period can be shorter and accrue less interest. With vehicle leasing this is not as necessary, since the monthly payments are working as payment for driving the car for that month and not towards paying off a loan. However, you can choose to make a “down payment” on a leased vehicle; it just means that the monthly lease payments you make will be lower. Can I still get approved for financing with less than ideal credit? Yes, you can. At Jackson Dodge, we understand that sometimes life happens and that your credit score can take an unfortunate hit. Luckily, we make it possible for drivers with all kinds of credit to obtain automotive loans at sensible loan terms. The only caution we issue when doing this is to make sure that you are able to pay the monthly amount on time and that the amount is within your financial reach. 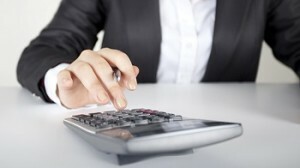 Can financing a vehicle boost my credit? Yes! If you have a lower credit score, financing a vehicle and paying it off consistently from month to month can help make a positive impact on your credit score. However, simply financing a vehicle will not be enough to change your credit score dramatically, so you may also want to seek other avenues in addition to financing a vehicle in order to raise your credit score. When you’re finally ready to get behind the wheel of a new and improved vehicle, make it a priority to stop at Jackson Dodge to shop our large selection of new and used vehicles. We will do our best to find a vehicle that fits your needs, help you with financing or leasing, and cater to your service needs for years to come. Make the right choice and invest in Jackson Dodge, your Medicine Hat and Swift Current Dodge dealer. You can find more information about our finance department or vehicle inventory by giving us a call at 403-527-5581 ext 1.